Yes, you don’t have to “use your brain” to balance your brain, with this simple, daily exercise. I have found that it not only aids: brain function, memory and alertness, but reduction of headaches and snow blindness, balancing of skull bones, decompression of brain post air travel, growth of head hair, natural hair color, altitude adaptation, reproductive organs’ energy/health. This exercise from China, was taught to me by Master Hui Liu of Wen Wu School of Martial Arts. 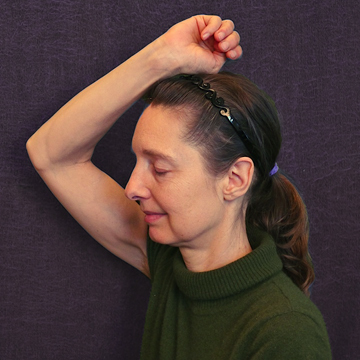 One may do this exercise for themselves or others, before 7 pm (as the stimulation caused by the exercise may prevent one from falling asleep readily). This exercise is done seated, with eyes closed, breathing calmly, head upright, counting seconds in time silently, 1 – 3 times daily. 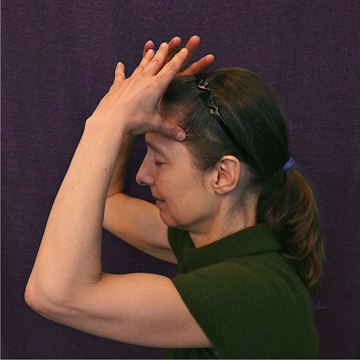 Keep your eyes closed until you are finished with all 3 hand positions and their contact to the head. 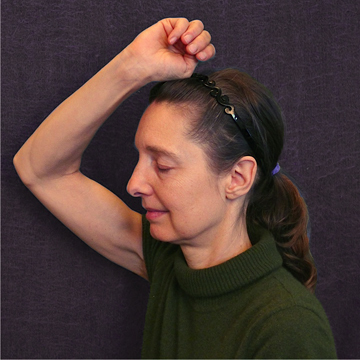 You may do this exercise on a person who is bedridden, by contacting the head with the 3 hand positions done in the following manner, as you would do for yourself. Repeat sequence 2 more times. 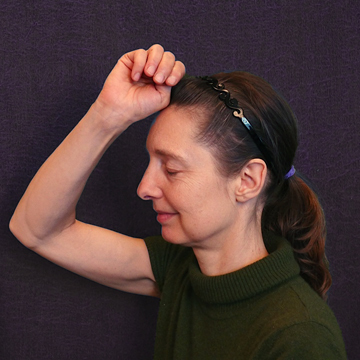 the corner of your hairline on the sides of your head with the other fingers extended, not touching each other or your head (count to 10). Remove thumbs from head slightly. Inhale. Exhale. 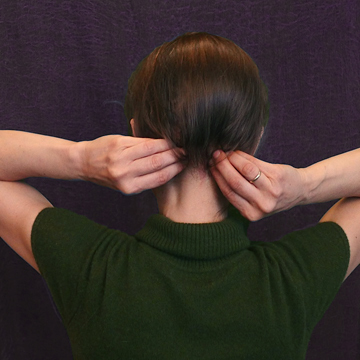 Place both sets of fingertips side by side on the center of occipital ridge, bottom of your skull, (where the spine enters the head) (count to 5). Repeat sequence 2 more times. Performing the brain balancing exercise upon the heads of clients who have had histories of mental imbalance, their radial (wrist) pulses calmed. They continued the exercise at home to maintain calmness and peace of mind. 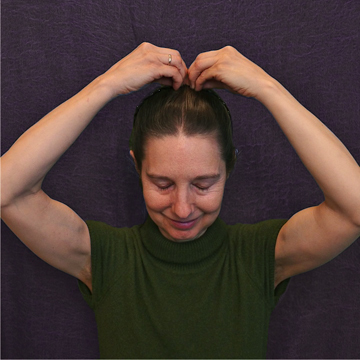 Students who practiced this exercise daily, reported their hair was thicker. 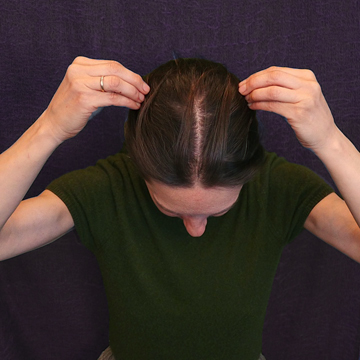 One student in his 70’s, having done the exercise for one year, felt he had 1/3 more hair on his head. We could all see that his hair was now more black than grey. I taught this exercise to a busload of people as we traveled from Phoenix, elevation 1000 feet, to the Grand Canyon, 7000 feet. Many did not suffer any altitude sickness. It was no surprise to me to read that doctors, after finding a tumor in Lance Armstrong’s testicle, found another in his brain, as this exercise is felt in the reproductive organs influencing their energy and health. You can even do this exercise before getting out of bed in the morning!